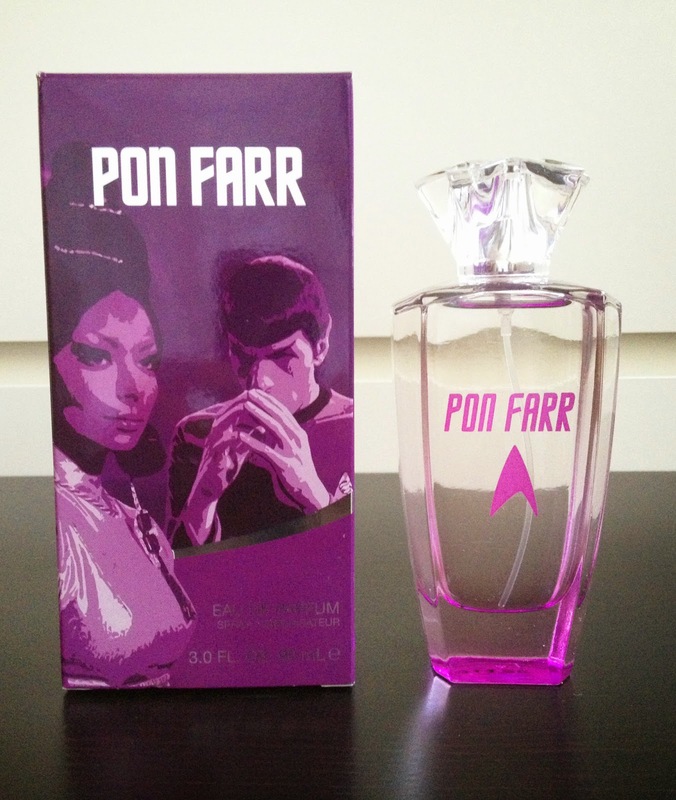 Pon Farr Parfum for women is a fragrance that will drive any male Vulcan wild. Every seven years a woman must have her way with a man so she can live long and prosper; this is where Pon Farr Parfum comes in. At first glance, it gives off a soft and subtle yet significant scent. It pulls you in for more. When applied to your skin the delicate flowery fragrant becomes more powerful as the vanilla musk and sandalwood take over. It has a very pleasant and alluring smell that even I cannot stop smelling. After having done so for a while, the muskiness tones down a bit and the flowery scent returns. Even the bottle plays with your mind; it looks simple and see-through but becomes a rich shade of purple depending on the angle. Pon Farr Parfum is easy to wear, seductive but not overwhelming, this makes it accessible to any event of your liking; bahan, fasan, taman and especially for those personal experiences. So, be ready to leave logic behind! Pon Farr, and the other fragrances in Palm Bench Beaute's Star Trek range, are available now from Entertainment Earth and Amazon. If you're wondering, Natasja tells me bahan, fasan, and taman, are Vulcan words for various activities. If you'd like to read more of Natasja's musings on beauty, baking, and the trials of being a young woman, check out her blog, Eyes Painted Black. Her latest post is on a bit of a spacey theme too, featuring starscape nail art. Blow up the USS Enterprise! At last, a new John Byrne Star Trek comic! Universes collide in so many Trek crossovers!